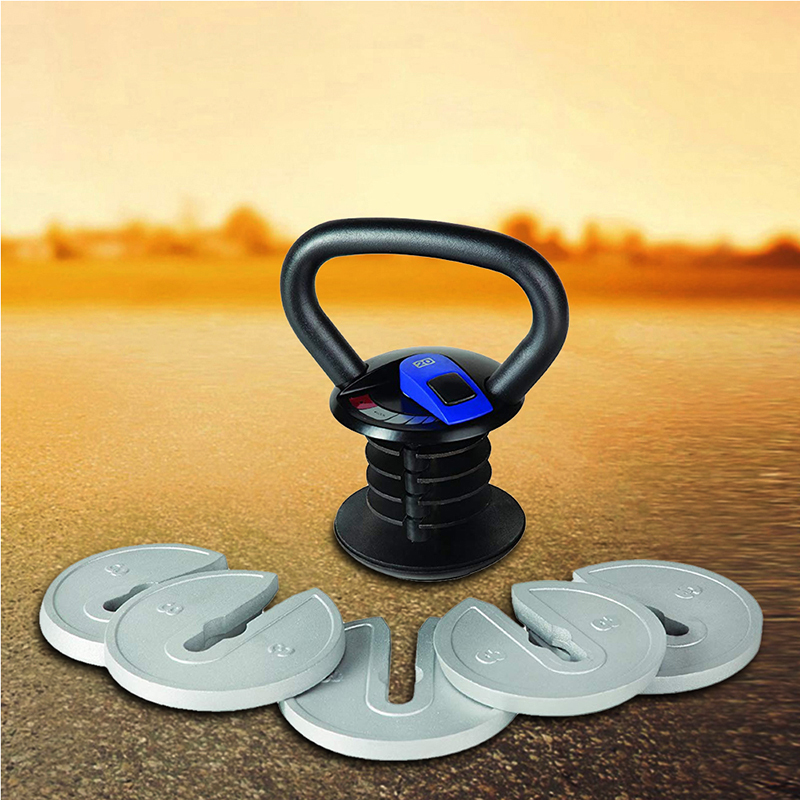 Product categories of Adjustable Kettlebell, we are specialized manufacturers from China, Adjustable Kettlebell, Adjustable Sports Kettlebell suppliers/factory, wholesale high-quality products of Adjustable Fitness Kettlebell R & D and manufacturing, we have the perfect after-sales service and technical support. Look forward to your cooperation! One kettlebell for different weight options. Adjustable kettlebell is a kettlebell that allows the user to adjust the weight during training. It consists several parts, including a handle and various Weight Plates which could be added or removed if necessary. Thus, users do not need to invest in a whole set of kettlebells of different weights. And adjustable kettlebells are small in size , easy to store.